Dolphin Patrol is the latest app from Little Potato Software, written exclusively for AppleTV. 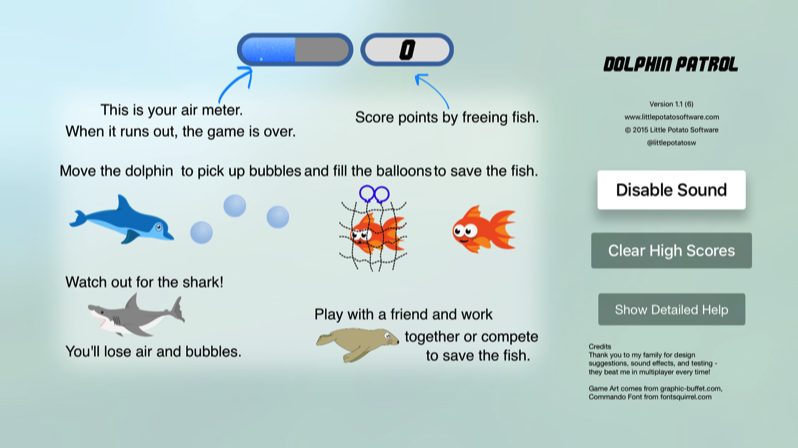 Play two different multiplayer modes - work together to save as many fish as you can in CoOp mode, or see who can save more fish in Head to Head mode. Works with any supported wireless controller for the second player. 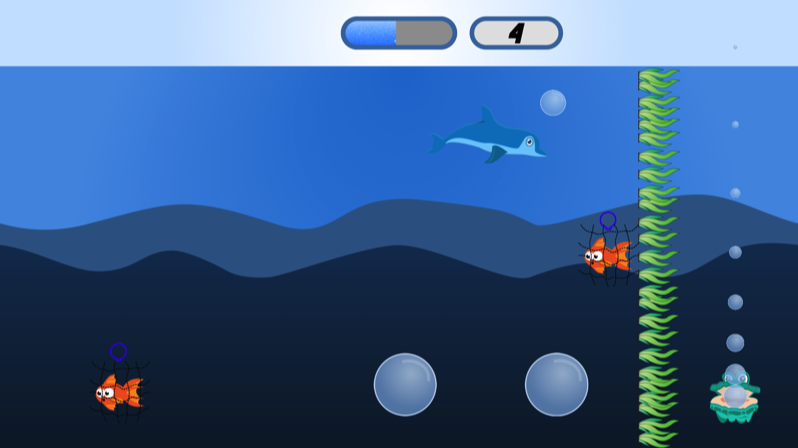 Dolphin Patrol is a fun, casual game for the whole family! Save some fish today! Watch your air meter at the top of the screen! 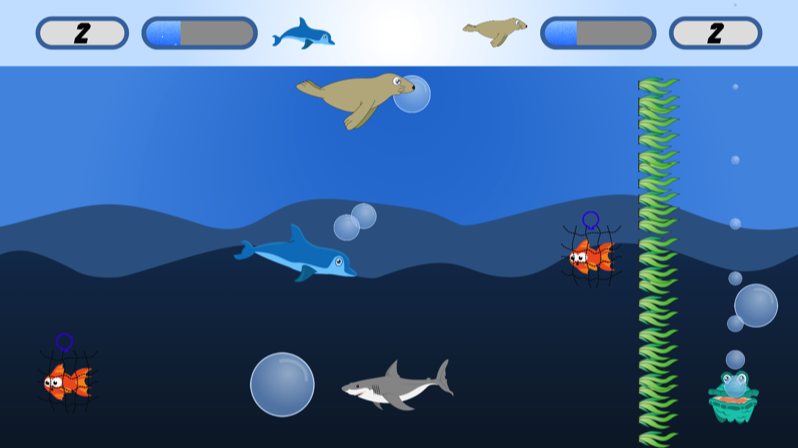 Score points by swimming up to bubbles,and then swimming over to a fish to fill the balloons. Once you have a filled all the balloons attached to a net, the net will float away and the fish will be free! Try to save all of the fish before they float away. Picking up balloons and saving points increases your air meter. Saving fish increases your score.